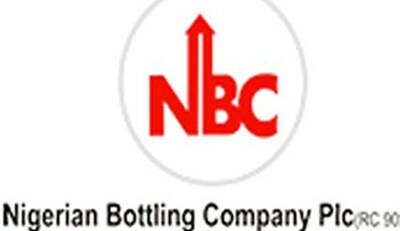 Nigerian Bottling Company has launched a 2-year programme designed for high achieving post graduates to challenge them to grow into Coca-Cola HBC's next generation of leaders. — Designed for high achieving post graduates to challenge them to grow into Coca-Cola HBC's next generation of leaders. — Blends your unique skills with a fast-paced environment, top leader mentoring, an international community, and exposure to top-level responsibility early in your career. All to unleash your full potential. — Fast tracks you through learning our business and industry, providing you: opportunities to lead important and impactful projects, understand all different sides of the business through rotational assignments or projects. — Gives unique value of being part of an international community of Management Trainees across Coca-Cola HBC: to share and learn from. — A 2-year programme, after which you'll have opportunity to continue developing yourself and your career through leadership roles in the function you're selected for. — Special stream introduces additional requirements with the aim being to identify and develop high achievers into senior leaders within a 2-4 year horizon. - Maximum of 3 years working experience. —Actively participate in the programme (on-the-job tasks, peer learning, mentoring and training assigned). — Work on assignments related to the role in a function. — Participate or lead departmental and cross—functional business projects (on project basis or as full rotation to other departments). —Take full responsibility with planning and organizing activities related to your assignment, as well as delivery of assigned objectives, projects and results. — Collaborate, develop and maintain relationships with colleagues from own team, other departments, mentors, project sponsors - while proactively seeking feedback. — Actively propose process and business improvements. —Take full ownership and charge over your development: leverage on each opportunity and feedback.